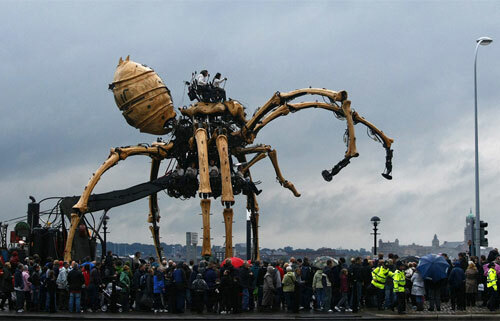 Giant mechanical spider in Liverpool. Looks a lot like the large mechanical spider in Wild Wild West that stars Will Smith. 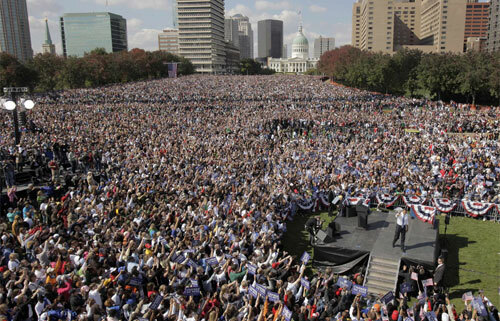 Rally with 100,000 supporters of Barack Obama in St. Louis on 18 October. 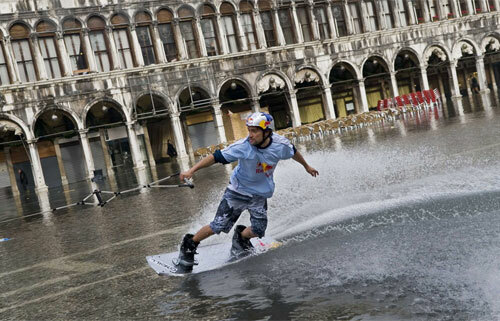 My fellow Dutchman Duncan Zuur rides a wakeboard across flooded Piazza San Marco in Venice. 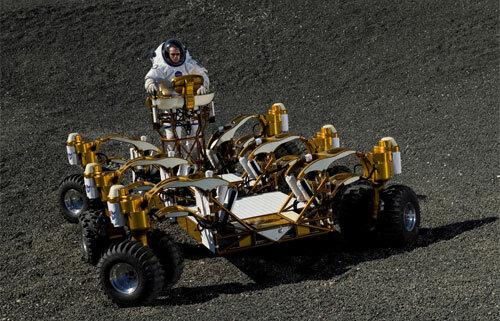 This photo shows a NASA engineer drives a new lunar truck prototype through the moon-like craters of John Space Center’s Lunar Yard. I sure hope NASA is going to be able to go back to the moon and then Mars as planned, but they’re probably going to see their budget slashed due to the whole economic downturn. 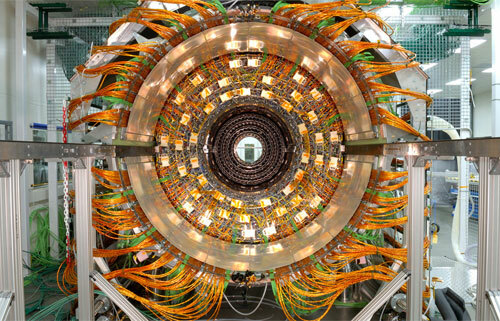 View of the Large Hadron Collider which was scheduled to be up and running by the end of this year, but electrical difficulties have set the date back to the summer of next year. Let’s hope it won’t cause a black hole. 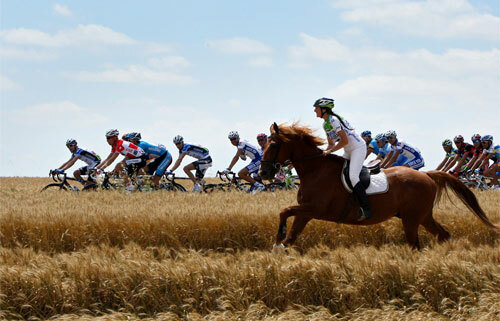 A woman on a horse runs alongside the peleton during the Tour the France in Chateauroux in France. 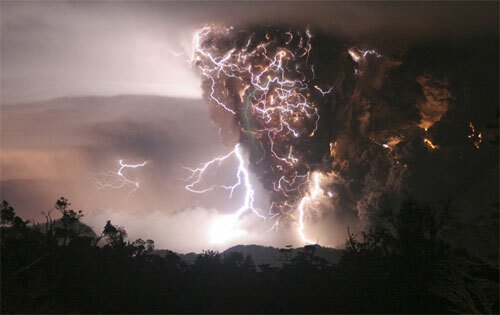 Lightning bolts are seen in this photo above the Chaiten volcana in southern Chile. Scientists are not sure what causes them. That’s pretty scary looking. 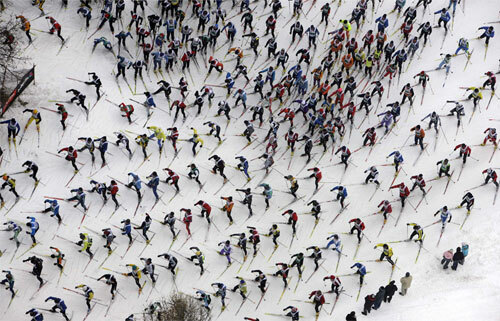 Sportsman participating in a skiing marathon in Switzerland. 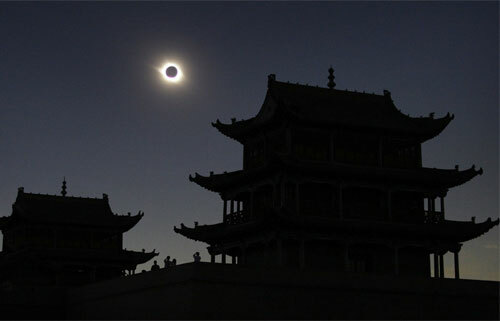 Full solar eclipse on August 1st as seen from the Great Wall of China. I remember we were at Schiphol that day to buy another cat carrier for our move to the US in September and I watched the partial eclipse through my special glasses when we were outside walking to our car at the airport. For more amazing photos see The Big Picture. 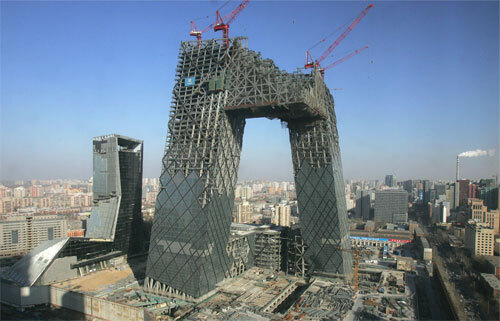 This entry was posted on Saturday, December 20th, 2008 at 3:13 am CET and is filed under Photos	with tags . You can follow any responses to this entry through the RSS 2.0 feed. You can leave a response, or trackback from your own site.